Final Fantasy XV, a video game about male friendship and good hair, will come to PC in early 2018. The fifteenth mainline Final Fantasy, which came out in November 2016, was previously only available on PS4 and Xbox One. This version, which publisher Square Enix is calling Final Fantasy XV: Windows Edition (lol), will be on Steam and “contains content from the free updates to the console versions & paid DLC originally available through the Season Pass.” It’ll also have a first-person camera mode, which seems like a beautiful way to get really sick. 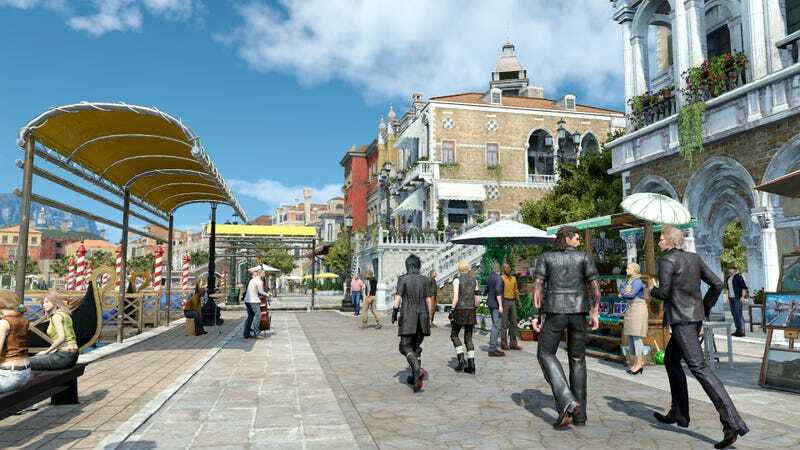 Final Fantasy XV director Hajime Tabata has been saying for a long time that he wanted to make this PC version happen, so it was only inevitable. Here’s hoping it runs well.